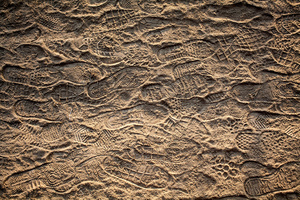 Their aim is to reach the destination as soon as possible and when there are no public transportation (or they are not allowed to use any) walking is the only choice. 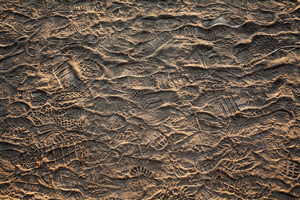 In an endless journey that takes months, or even years, moving is the main need and the only thing that matters. 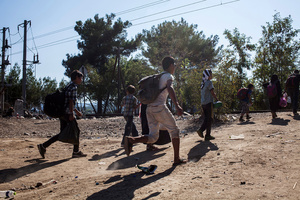 They never stop and when they are forced to it brings distress and desperation. 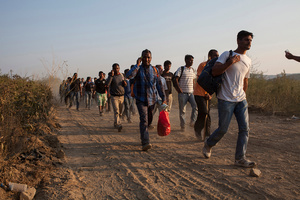 Same as in the Bible these people are forced to leave their houses and wander in the desert until they will reach a place where to settle down and start a new life. 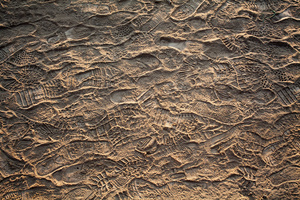 They travel the old way, a step after another, in the manner of the ancient human beings. 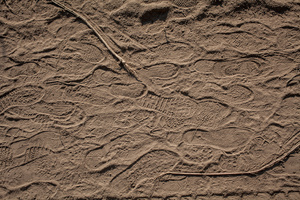 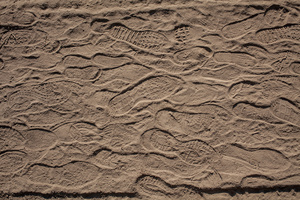 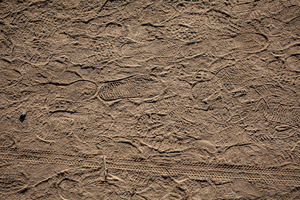 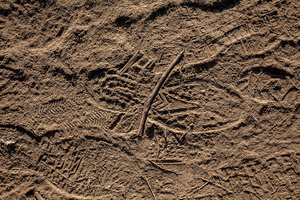 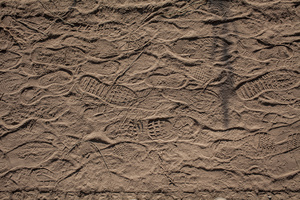 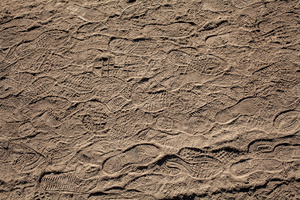 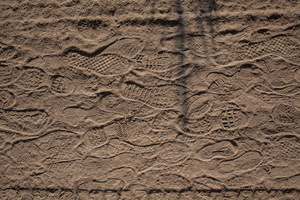 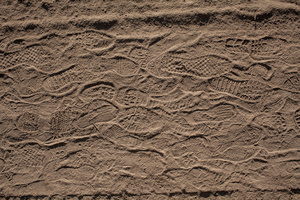 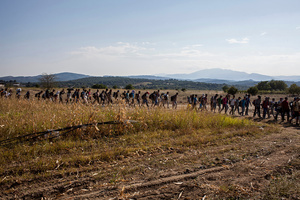 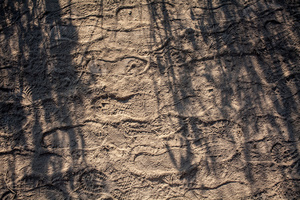 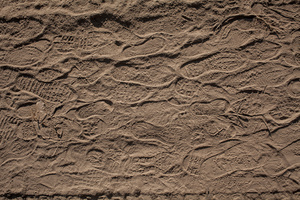 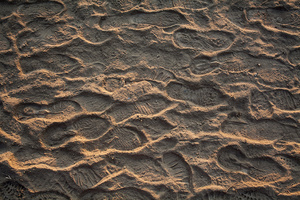 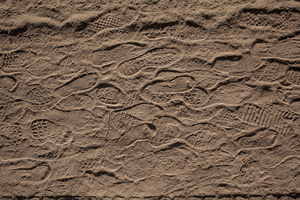 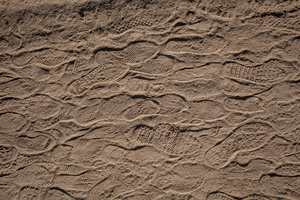 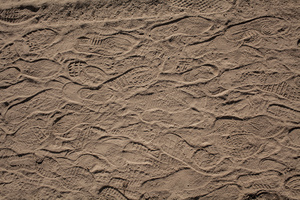 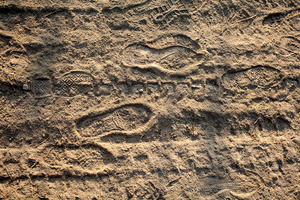 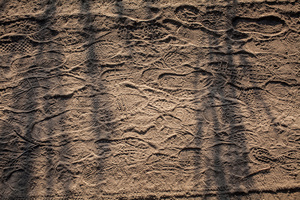 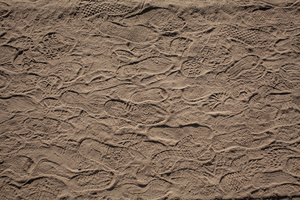 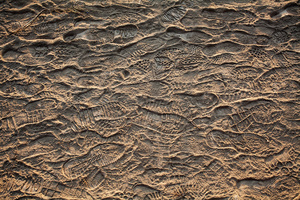 Their footprints on the ground are traces of a mass migration on invisible routes passing next to our cities and houses. 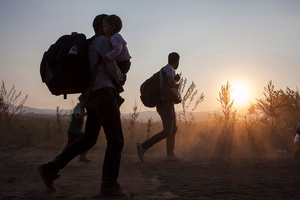 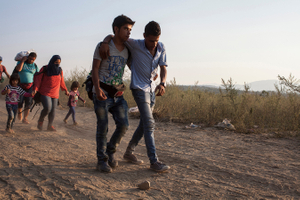 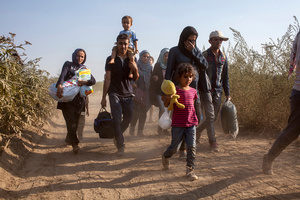 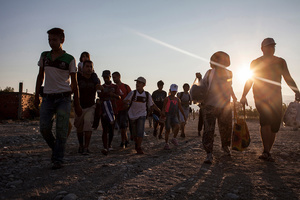 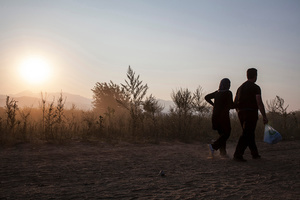 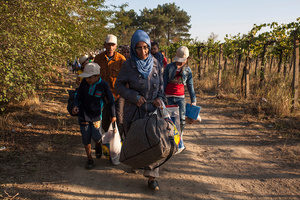 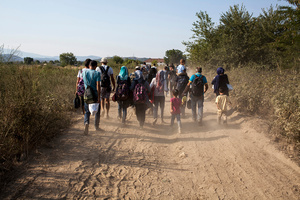 Refugees are often ignored and always moving, they are like traces in the sand that are easily cancelled.